Revenues dropped 0.7% in the U.S., 2.4% in EMEA, and 2.8% in Asia-Pacific last year. NEW YORK: Edelman’s global revenue dropped 1.1% in 2018 on a like-for-like basis to $888.4 million. For parent company DJE Holdings, revenue dipped 0.1% last year to $961.8 million. Edelman’s revenue was down across regions, falling 0.7% in the U.S. to $545.3 million, 2.4% in EMEA $188.2 million, and 2.8% in Asia-Pacific to $104.2 million. The agency’s revenue increased by 6.1% on a like-for-like basis in Canada to $29.8 million and by 0.4% in Latin America to $20.9 million. 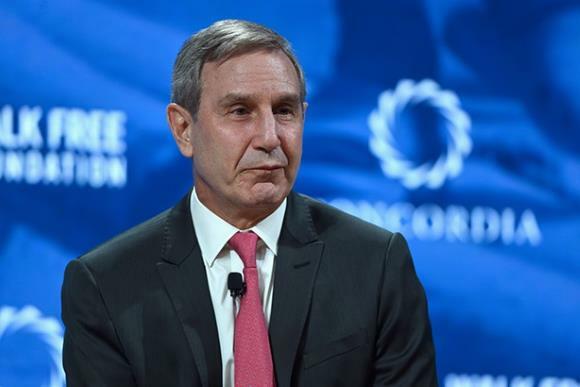 Edelman president and CEO Richard Edelman said decreased spending by big brands was partly to blame. "I would say the issue for us in the past 12 months is something that’s reflective more broadly of the marketing business and that is we had both in brand as well as in digital a slow down," he said. "The reality is that’s a result from [disappointing] CMO budgets, very similar to what you’ve observed for ad agencies." Edelman noted that other clients "took a hint" from Procter & Gamble making substantial marketing budget cuts and also trimmed their spending. He added that clients are also changing the way they parcel out work, if they do at all. "We’ve seen that clients are taking work inside for digital, and we’ve seen that for some clients, they are putting up projects instead of retainers," he said. "We’ve seen that especially in the food business." Edelman said the agency had issues in EMEA, losing a major Indian client in Tata Group and that it struggled with mergers and acquisitions in EMEA. "We had some issues with mergers and acquisitions in Germany and the Middle East," Edelman said. "We had some clients go and some people go and those two markets were disappointing. We could have integrated those mergers better. Both markets are now coming back." With parent company DJE Holdings posting a less severe revenue drop, Edelman pointed to bright spots such as United Entertainment Group, which he said grew 12% on a like-for-like basis, and Zeno Group, which grew 12% on a like-for-like basis with Salesforce as a key win.